This is Public Safety Telecommunicator Week, and it turns out I'm a PST! And here you thought PST was one of those diseases they advertise pills for on late night TV. My full time job is as a 911 dispatcher, which is, shall we say, stressful. Mentally, emotionally, and even physically stressful, but at least we don't have to work outside. Personally, by the time I'm finished with my four day rotation I'm bent like a pretzel and popping pain pills the way I'd like to be popping M&Ms. We work a four day on, two day off rotation in my emergency communications center, which means every six weeks we get a weekend off. That's nice, but I also work nights, so whenever my days off are--I usually just want to sleep through them. Still, days off are nice. There was one month late last year when I didn't get any. Okay, that's a slight exaggeration. We introduced a new computer aided dispatch system, otherwise known as a CAD, a system that--well, you know--aids us in dispatching. 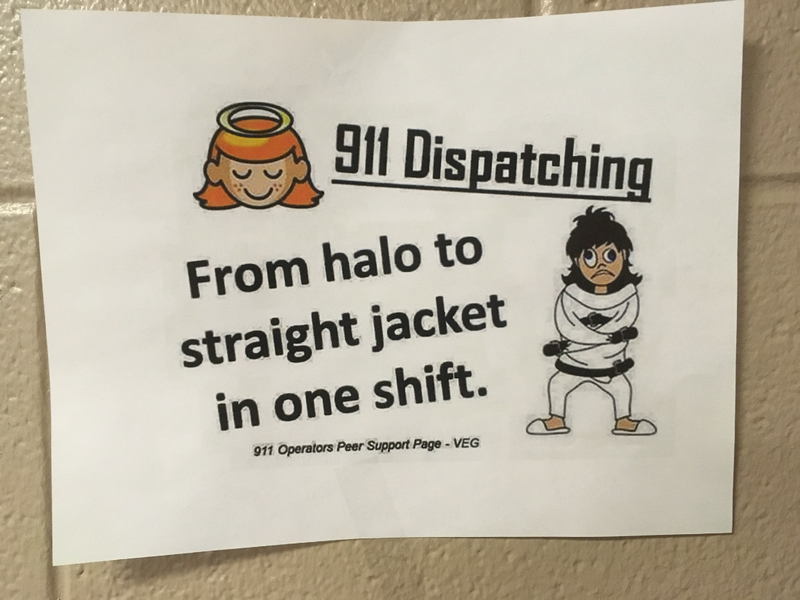 And every dispatcher had to take a three day course in learning the system, a class sandwiched between the online course we had to take before and the practice we had to do after. But you can't just shut down an emergency communications department--well, you can, but it's not a swell idea. So instead, the class was divided up, with the dispatchers who weren't taking it at the time covering for the dispatchers who were. When you combine that with the fact that two new dispatchers were still training, you get overtime. So last September I worked 21 out of 22 days in a row. Which is just three weeks, so I did get days off that month. Not to mention I volunteered for a lot of that time, because our bosses don't generally force us to work on our days off. (Nights off, for me.) 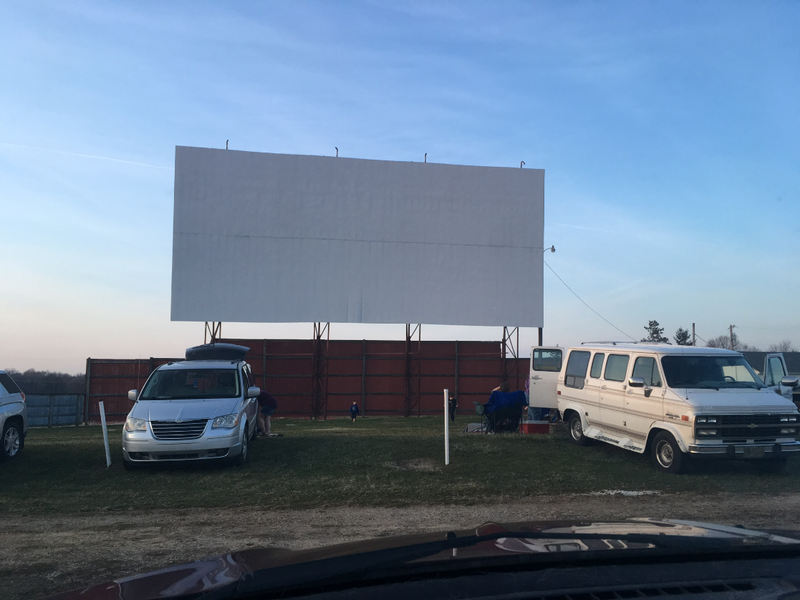 We do have to work over or come in early from time to time, as with this week--somebody has to do it. Others worked for me during my class, after all. Twelve hour shifts get ... tiring. I'm not a fan. But I'm not making minimum wage for mucking hog barns, so what the heck. But here's the thing. I got around 56 hours of overtime in two weeks, give or take--I'm not really clear on how it added up that day when I got off work at 5 and went back in at 11. 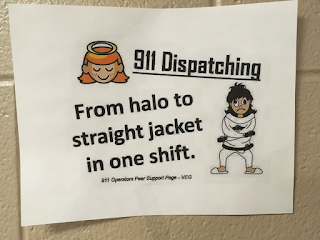 I mentioned all this to an online group of dispatchers, and got their side of it. 44 hours of overtime, in one pay period. 73.5 total hours--in one week. 53 hours of OT in a pay period. 60. 88. 49. 71. 63. In one pay period. A pay period is usually two weeks. One dispatcher worked 134.75 hours during Hurricane Florence. 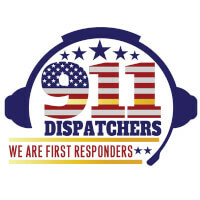 911 dispatch centers are chronically understaffed. 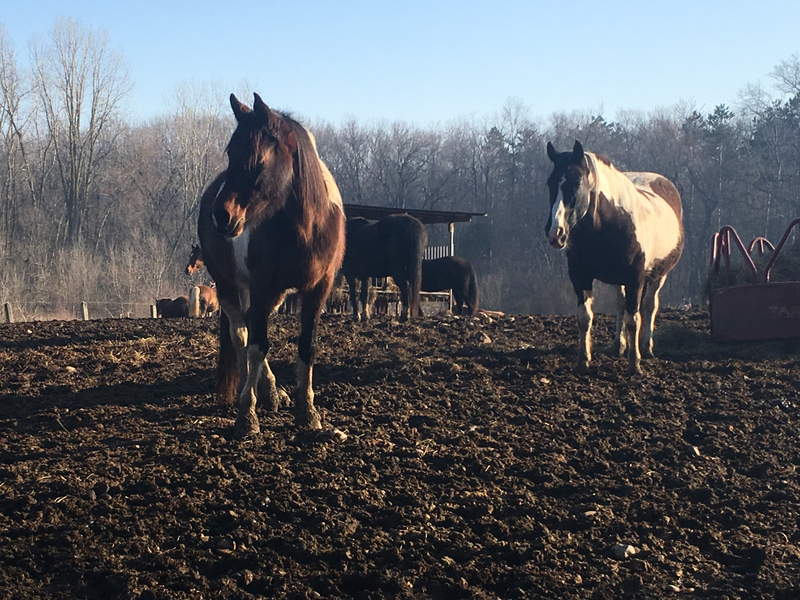 The hours are crazy, the training is hard, and the stress can be incredible; this leads to people leaving, which leaves those left behind working long hours and training new people, which leads to them burning out and leaving ... and on and on. I'm of the opinion that anyone who lasts long enough to retire, like my boss and (in a year) me, are certifiable. But where I work we have good, dedicated people, and the OT isn't nearly as bad as many other communications centers. This brings me to something I've always said, something we should all keep in mind. We all have problems, and they're legitimate problems. We all have complaints. I had a lower back injury three months ago that just does not want to heal up--apparently it has to do with this concept of not being as young as I used to be. You think I don't complain about that? After all, I could be the one having to call 911. I like it, because at no point do they use the term "talentless hack". 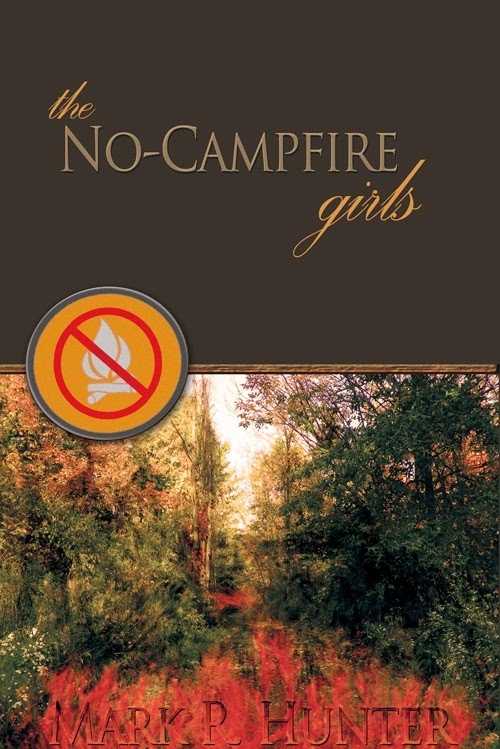 Half the proceeds from sales of that book still go toward supporting the Missouri Girl Scout Camp Latonka, and it's only ninety-nine cents for the e-book version, so get your copy right now! Or, yeah, you could wait until lunchtime, if you're hiding this from the boss. Just don't forget. 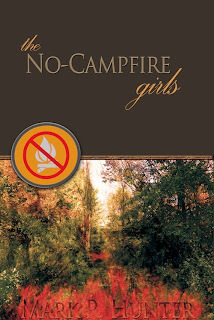 Remember, every time you buy a copy, a Girl Scout gets her Fiction Reading Patch. And if they don't make one of those, they should. Thanks to everyone who read, and especially commented on, my post on the 50 Authors From 50 States blog! As for the giveaway, I didn't have a hat, so I made each commenter a slip of paper and mixed them up in ... an extra large coffee cup. A coworker, who was very happy there was no actual coffee in the cup, then pulled out the name of William Kendall, who wins a free book! And no, that's not as cool as a free car, but I don't sell cars. As for those who read the blog, Annette Snyder sent me a list that shows 176 visitors from the USA. But here's a surprise: The next highest number of visitors were from Ireland! No, I don't know why. After that came France and Germany, then "Unknown Region", which I think is one of the former Soviet republics. On a related note, there were also visitors from Russia, as well as the Ukraine, United Kingdom, and--as might be expected--Canada. Otherwise there's not much to report. Emily is busy scanning and adjusting photos for our Albion Fire Department photo book project, while I've been working on the rough draft of a humor collection, under the working title of Still Slightly Off the Mark. It will be based on humor columns I wrote for the newspaper between 2000 and 2002, and rereading them for revision has made me realize just how much has changed since then. Spring is springing--more or less--and we got a chance last week to go to the drive-in theater that was the inspiration for Coming Attractions. Shazam, was it fun! 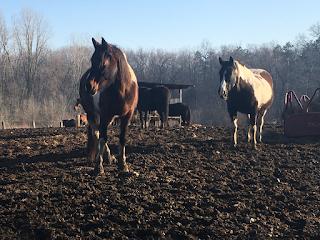 On a related note, Emily is back with her horses at the Pokagon State Park Saddle Barn, although until Memorial Day they're only open on weekends. All signs of spring ... yay! Hope you all get a chance to get outside and enjoy it, when weather permits. And, for those of you in the upper Midwest and Plains States ... I'm so sorry.